Finally! I could now blog about the fruit of my labor as a trying-hard blogger... wahahahaha! 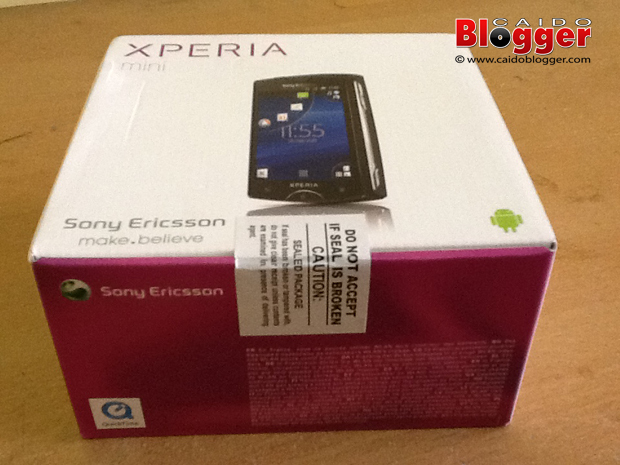 Here it is: The Xperia that blogging bought --> Sony Ericsson Xperia Mini ST15i! Well, this is quite a "little achievement" for me as a trying-hard blogger and also a little treat for myself. I bought it on the last week of March from eBuyStore thru Multiply. Although, it is still quite new, this phone has already a sentimental value... Hahaha! Why? Because of some "first" experiences. It is my first phone that blogging bought (already said that), my first full touch screen phone, my first Android phone, my first phone I bought online with discount, and the first phone that gave me much headache..
Watch the video while unboxing my Sony Ericsson Xperia Mini ST15i here.